Just another quick entry. 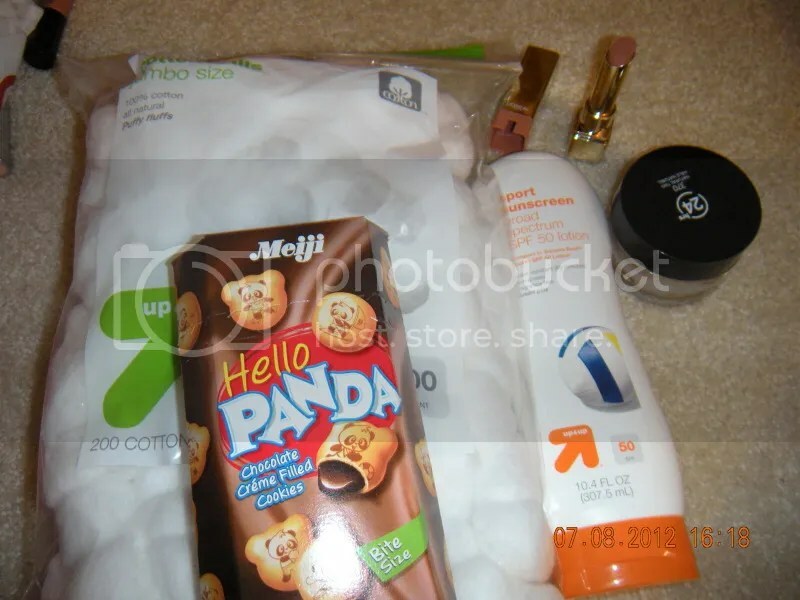 Today, I needed to make a Target run for some cotton balls (I’m literally down to 3 cotton balls left…) But while there, I decided to use up some Target and manufacturer coupons I had to pick up some other things. and of course no trip to target is complete without Hello Panda cookies!! Not a large haul, but I picked up two things I have been wanting to try for a wile. I also bought the sun screen because I am going to have Orientation for my internship in August where I’ll be outside for 2-5 hours everyday. So I needed sunblock and I was running out of my Neutragena one. I will probably report back on my own thoughts about the foundation and lip product once I get to try them out more.